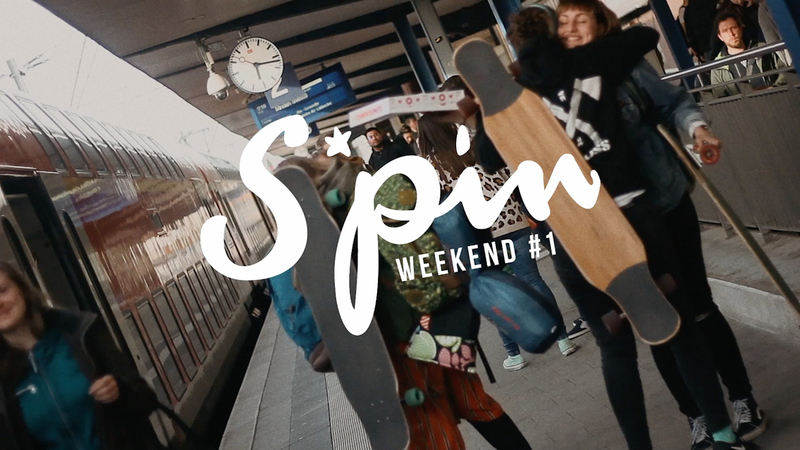 We are super happy and stoked to finally present the S*pin-Weekend video to you! 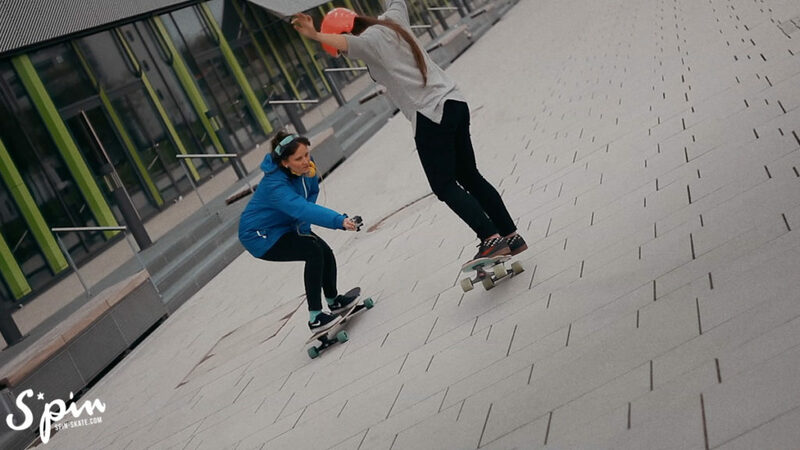 In the end of april some of Germany's dancing & freestyle longboard girls met up in Bielefeld, Germany to dedicate a whole weekend of skating together and having a stunning time – the first little S*pin-Weekend! 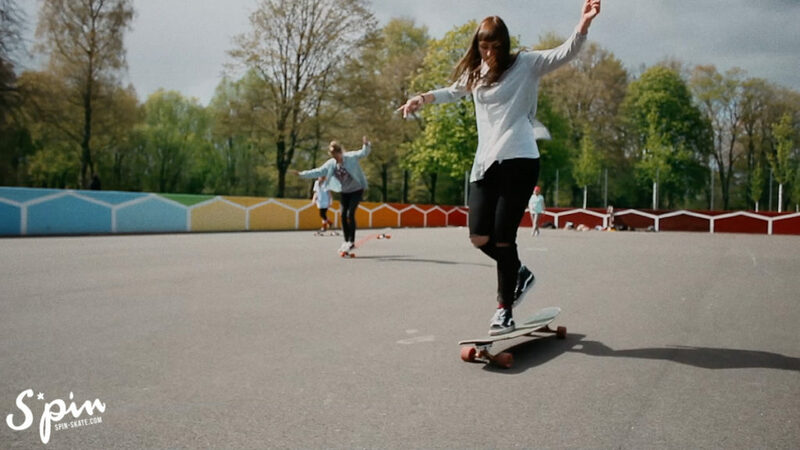 After the great first world cup ‘So you can longboard dance? 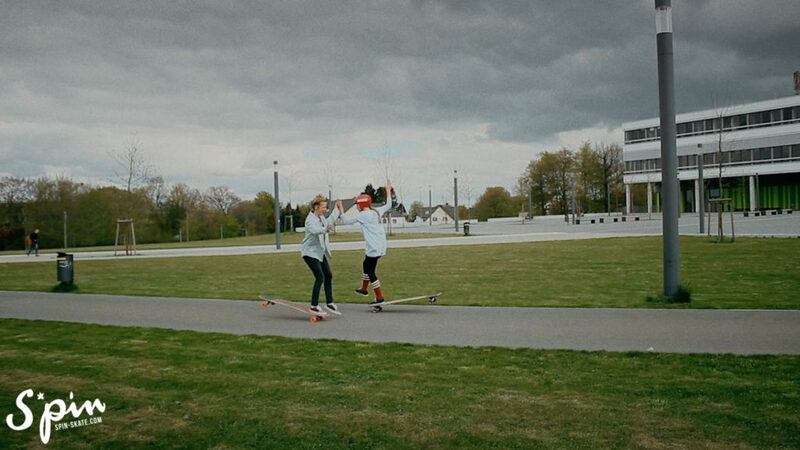 !’ in Eindhoven past April, I missed my skate company / girls and the whole skate vibe so much that I thought ‘Why be sad, if I can just invite them? !’ So I did, one hour later we fixed a date, like it meant to be and almost everyone made it! Already two weeks later we came all together – One weekend, seven girls and a lot of skating! 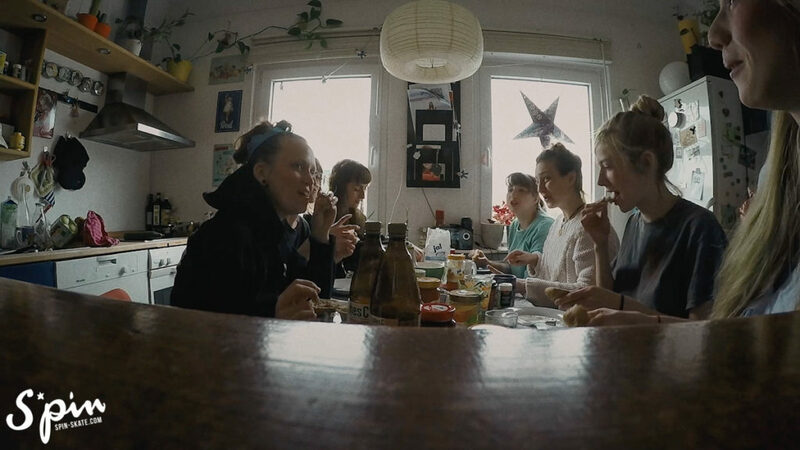 The Blume-Sisters, Isabell and Josefine, Caro, Jenni, Xenia, Debbie and me! In the end the weather forecast was pretty rainy, even snowy (really in the end of April!? ), but we wanted to meet up so badly and looked so forward to that weekend that we just did – luckily, because the the weather almost turned out perfectly (even with a little sunburn). On Friday Caro already arrived in the early afternoon and with her I picked up the others from the train station. 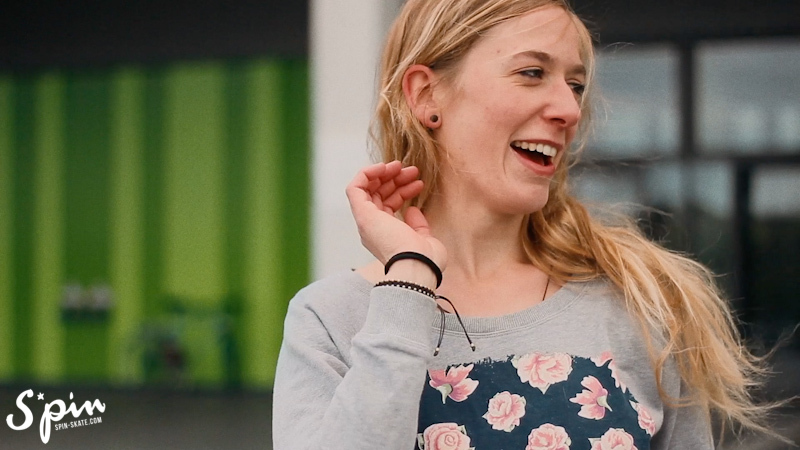 The Blume-sisters came all the long way from Regensburg and Magdeburg. 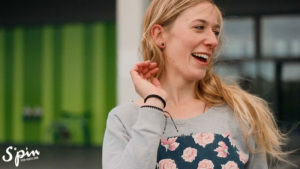 Josefine jumped right after her night shift on the next train to Bielefeld, after two hours of sleep. Xenia and Jenni came from Bochum and Debbie from Cologne. 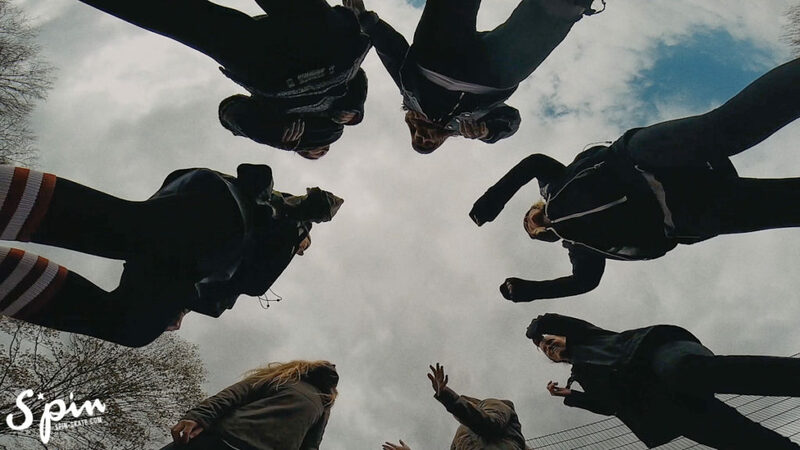 After the first little reunion with a huge box of Donuts (all different ones, that we all needed to try) we went to one of the nice skate spots for a little evening skatesession and cruised a bit in Bielefeld to grab some drinks for a chilled evening. 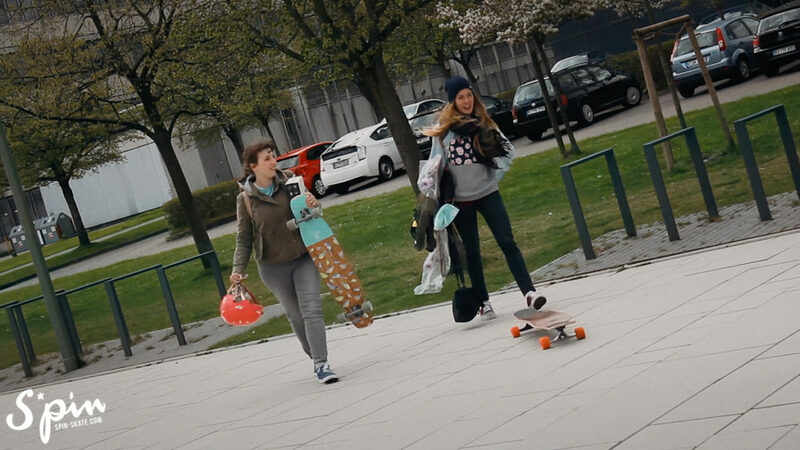 On saturday we tried to make sure to get up as early as possible to skate as much as possible – for sure! 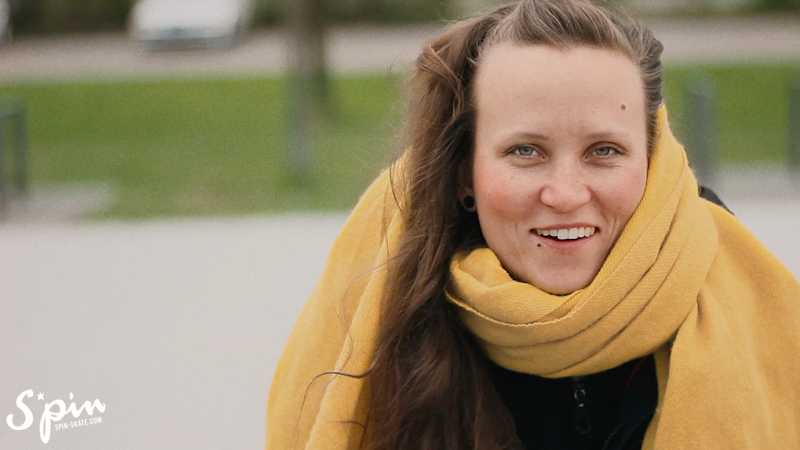 From the field of air mattresses, sleeping pads, shared bed and couch to a nice and cozy breakfast, we left loaded with our boards and cameras for skating and started filming. 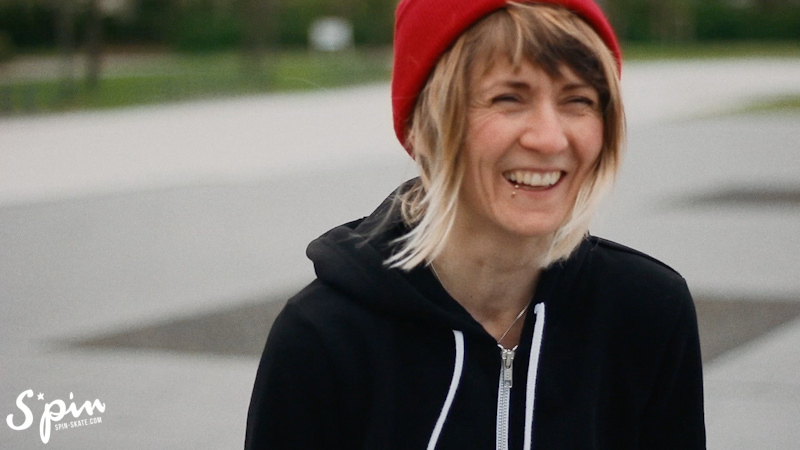 Even if we all weren’t that experienced with filming and settings, we wanted to capture OUR weekend and we wanted to share it and spread our stoke. 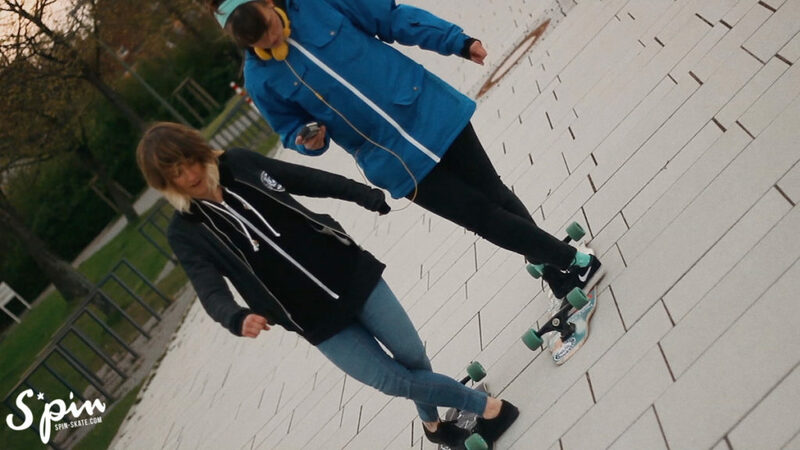 Unfortunately Jenni and Xenia needed to leave earlier on saturday, but the others kept skating on sunday the Kesselbrink and made sure to film nice TrickTips for the TrickTip-Wednesday until the snow, that was already promised for one week, stopped us skating finally. But it was a perfect timing, right before the girls needed to hop on their trains back home! The whole intense weekend was packed with a such a wonderful atmosphere, that everyone enjoyed to the fullest. 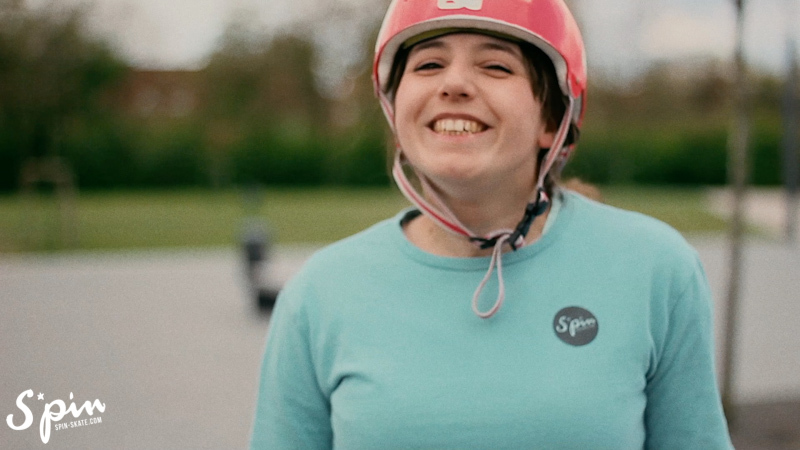 We skated together, tried out a lot new things and tricks, pushed each other to new limits and helped each other out on doing the ’mean’ tricks, (that tricks that didn’t want to be landed for so long, haha) with a lot of patience and love. So there was definitely no other way to just feel fulfilled and the love for it (sorry for sounding a little hippie). Even a few weeks after, the weekend still feels close and it made us stronger, each of us and gives us such a strong feeling of a warm backup, that keeps us rolling, that inspires us and others! 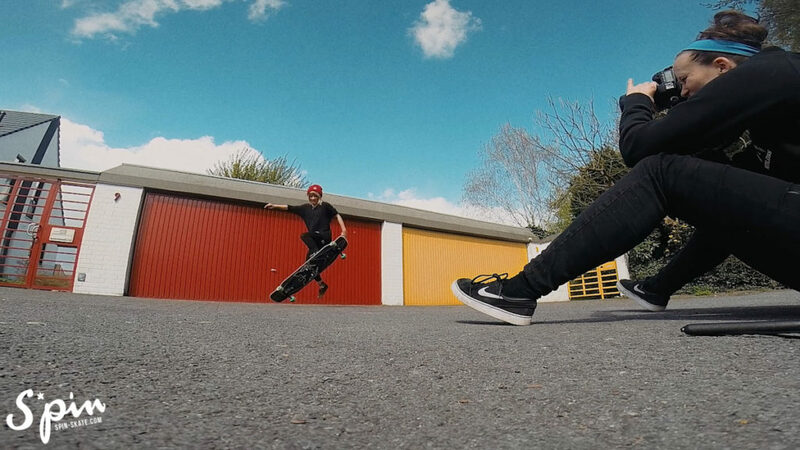 Huge thanks to Daniel Polle and Carolina Kaes putting the video together and making this sweet edit possible! Also a huge thanks to Tim, who adjust his music just for our video!